Hello there! How are you doing? I’ve been sick since Thursday, and my whole face hurts. So yesterday was the first time I got to get into my craft room since Wednesday. I popped this card out pretty quickly for the Stamp, Ink, Paper challenge. 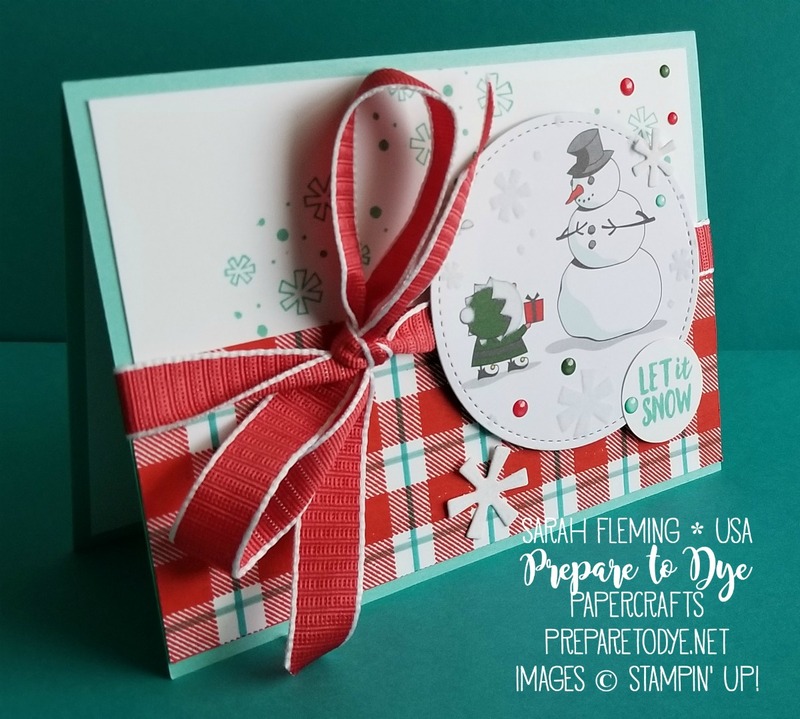 We’d love to see what you make this week, so head over to the challenge blog and play along! Our challenge this week is to use Plaid in your project. 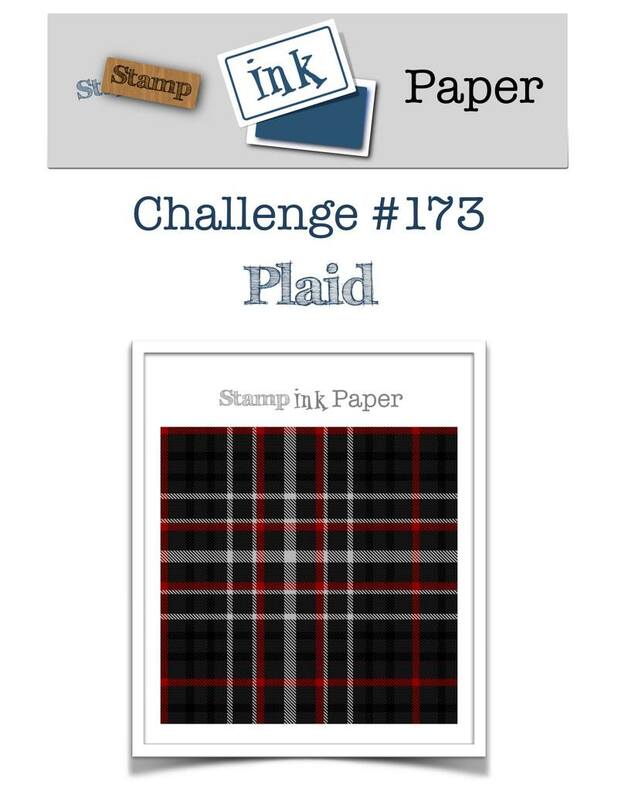 I was excited for this challenge, because I’ve seen so many examples of people turning the Buffalo Check stamp into plaid and wanted to make my own plaid, too. 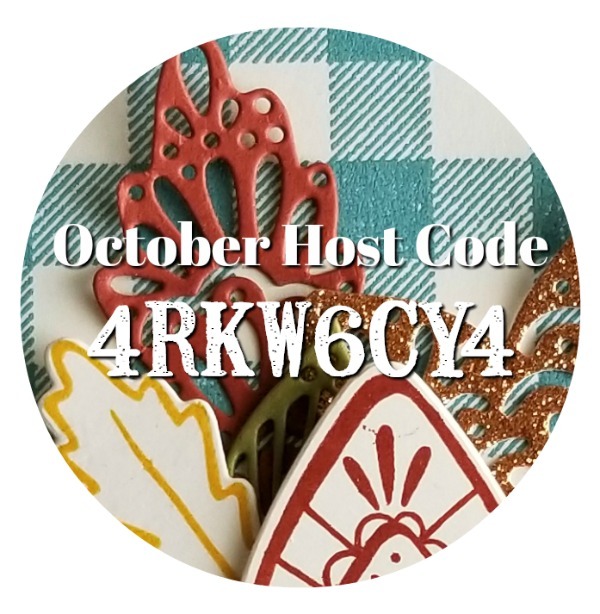 My card base is Coastal Cabana, 5-1/2″ x 8-1/2″, scored at 4-1/4″. 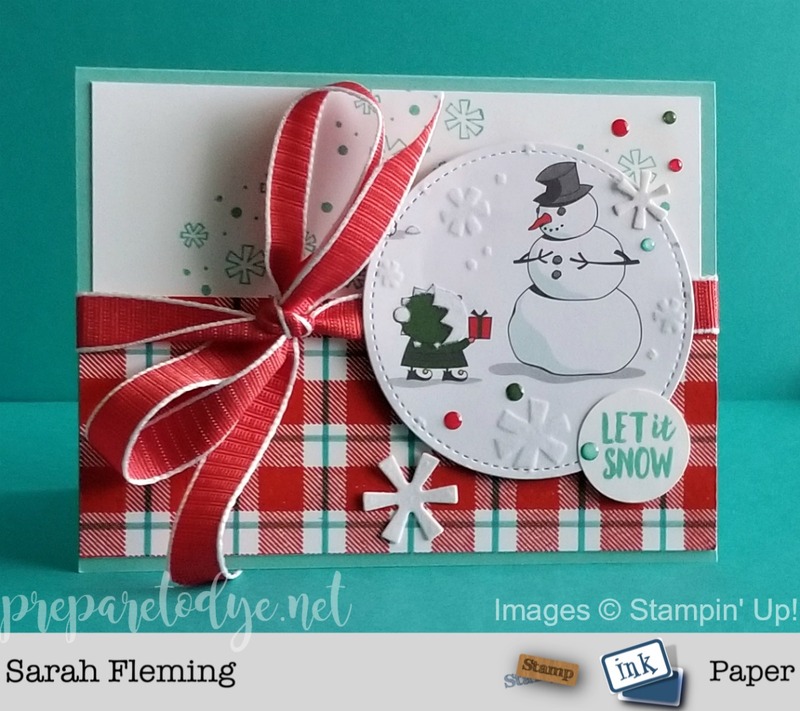 I stamped the Whisper White cardstock in Coastal Cabana with a stamp from the Candy Cane Season stamp set, then added that to the card base. 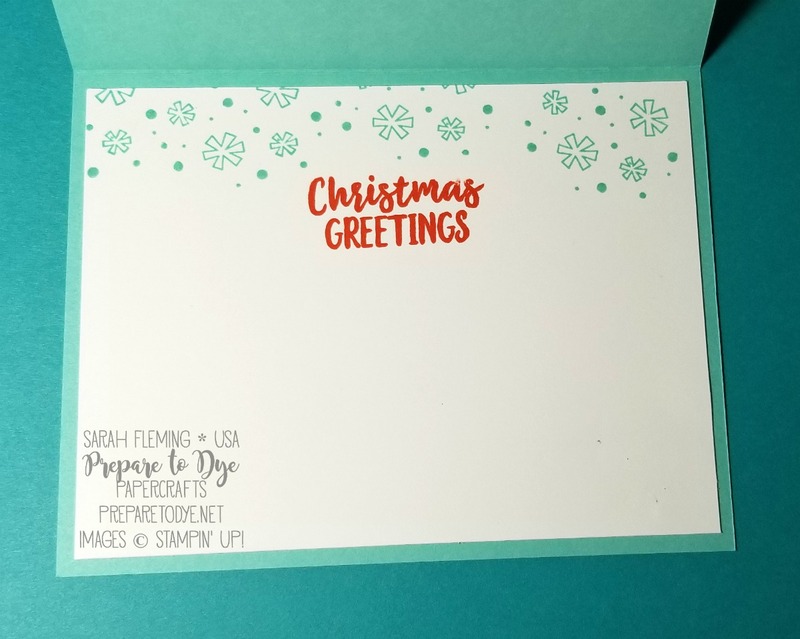 I inked up the Buffalo Check stamp with Poppy Parade ink, then drew the straight lines in with my Bermuda Bay and Coastal Cabana Stampin’ Write Markers (both of these are in the Brights collection). I cut the piece down to 5-1/2″ x 2-1/2″ and added it to the card. I tied some Poppy Parade 1/2″ Textured Weave Ribbon around the card. I really love this little scene with the snowman and the elf. 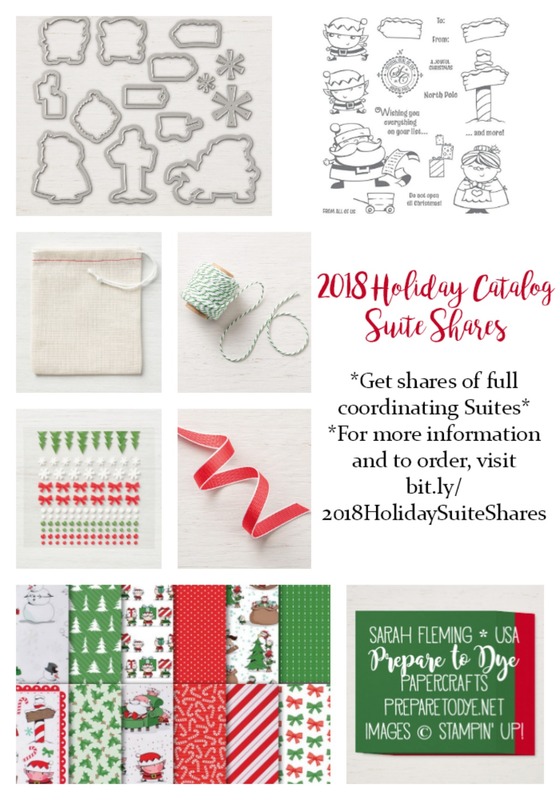 This is from the Santa’s Workshop designer series paper, and I simply cut it out with the largest circle from the Stitched Shapes framelits. I added two snowflakes cut from the White Velvet Sheets (available to customers November 1) with the Santa’s Signpost framelits. 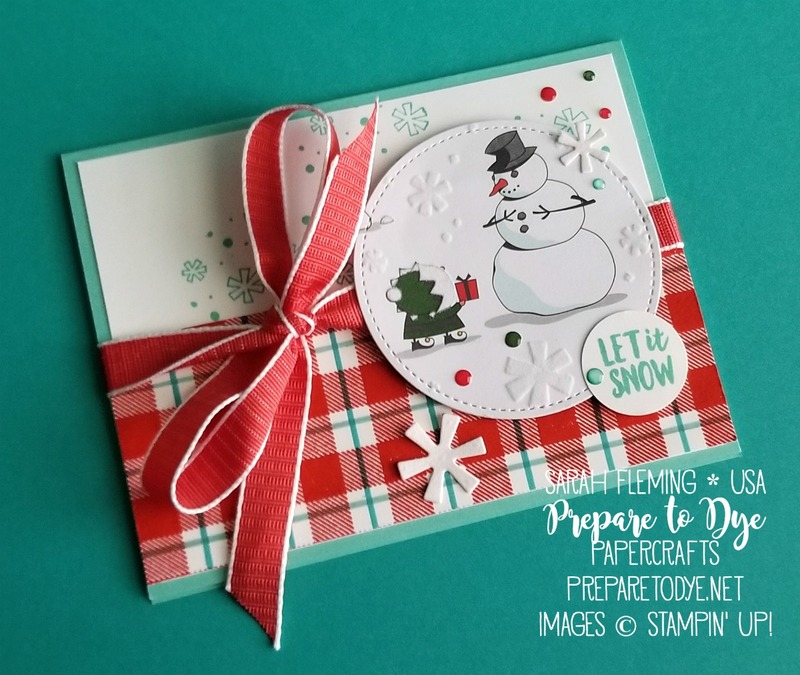 I also stamped “Let it Snow” from the Alpine Adventure stamp set and punched it out with the 1″ Circle Punch and added it to the card. I finished the card off with some Santa’s Workshop Enamel Shapes. The Poppy Parade and Garden Green enamel dots are in the pack, and the blue ones are white in the package, but I colored them with my Dark Bermuda Bay Stampin’ Blends marker. The inside of the card. The sentiment is from Alpine Adventure.